For a number of months I have been collaborating with Dennis Ramaekers on a project called “Industrial loops”. This ongoing project deals with one central theme, based upon which we made a number of different works. Whilst walking in the forest surrounding my neighborhood, we would often come across small mounds of a strange grey, very fine powder. After asking around about it we soon found out this powder was a residue, produced by burning coal in power plants, called flyash. We discovered if you would dig random holes, most of the time you would find this substance. 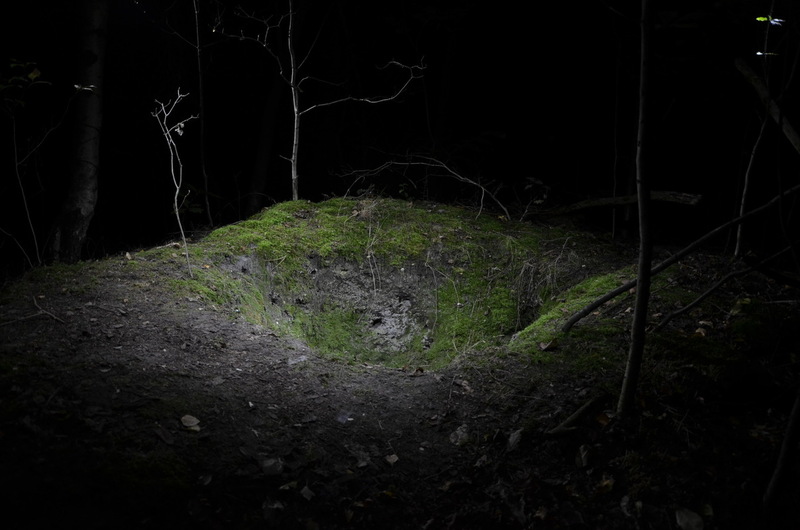 “Residue” is a photograph taken of a pit we found in the forest, of which the walls are lined with fly ash. We detonated some small explosives in this pit and recorded the blast. Afterwards, when the dust had settled I started taking pictures. 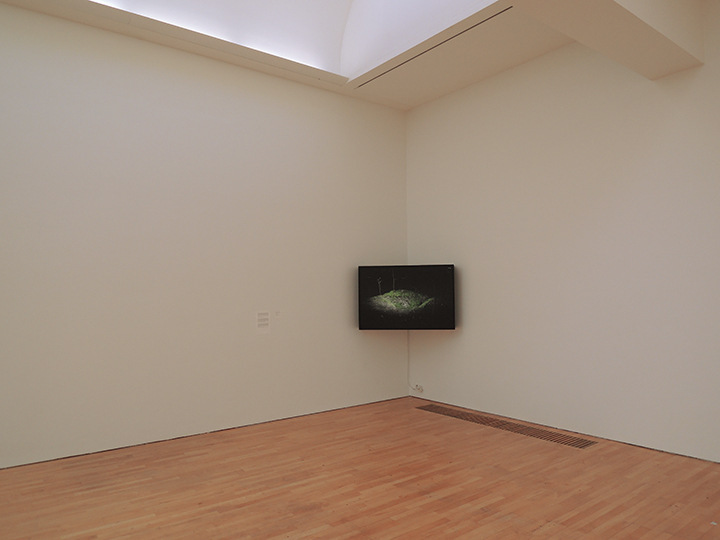 One of these pictures was printed and placed in a light box, which is shown in combination with a modified version of the sound of the explosion and the background noises before and after the explosion.